This teaching will feed your soul. You will discover how the natural five elements and our body’s five elements work together. You’ll learn how we can alter how we feel when dealing with diabetes, chronic pain, auto immune and so many other illnesses. Learn to increase your productivity and memory. Learn how the elements work during cancer treatments and other serious illness. This retreat will help you to release, step back, learn and apply the tools learned from Latri Nyima Dakpa Rinpoche all while enjoying all of the elements Amor de Mar in Costa Rica has to offer. This trip to Costa Rica for the Five Element’s teaching from Rinpoche, a master Geshe, will be amazing. It is a special retreat offering meditation knowledge and tools, as well as adventure, healing, peace, joy and rejuvenation. This will be a life marker event! This is your time to balance your mind, body and spirit. This is your time to step back and take a good look into your life. This is a your time to heal, transform, love, and balance. You deserve this amazing Retreat! Join Latri Nyima Dakpa Rinpoche at the beautiful Amor de Mar, Costa Rica! 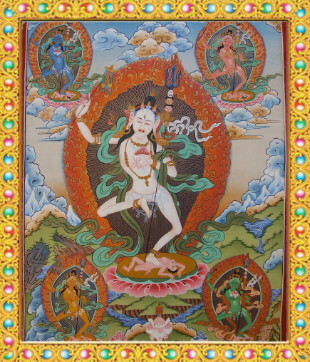 Rinpoche will teach us about the Five Natural Elements and how to correlate the Five Elements with our bodies and our surroundings. Learning to be connected with these elements begins our process of healing and transformation. Balancing the elements in our bodies and minds helps release stress, anger and uncertainty, and increases our focus, productivity and creativity. If we mindfully apply and work with the powers of the Five Elements, we can feel and see ourselves transform into a powerful, balanced, happy, peaceful, prosperous and healthy person. The Space Element ~ Will help you clear space, giving you room, focus, and direction. ~ Thyroid disorders, throat problems, speech disorders, epilepsy, madness, foolishness, ear diseases. The Air Element will teach you about healing from within. ~ Nervous disorders, blood pressure problems, lung disorders, physical pains/deformities, depression. The Fire Element will stimulate your creativity and connection with others, helping you find joy for living and mastery over anger. ~ Coldness or fever, skin diseases, increased coldness or heat in body, loss of vital energy, acidity, diabetes, and mental disorders. The water element will teach you to be fluid, helping you with work, relationships and within yourself. ~ Cold, sinusitis, asthma, swellings, blood thinning or blood clotting, problem of urination, diseases of reproductive organs. The Earth Element will show you how to be grounded and strong. ~ Weakness, obesity, cholesterol, weight loss and weight gain, bones or muscular diseases etc. This Illumination, Healing and Transformation retreat is going to be a very powerful opportunity for life transformation. The course will consist of five days, one devoted to each element. Half of the day will be lecture-style teaching and meditation. The second half will be an experiential adventure with each element, to create our personal connections with the elements. There will also be time for other activities to be found at the resort. We are fortunate to have an amazing place for this wonderful retreat. One of Latri Nyima Dakpa Rinpoche’s student has offered her beautiful and healing resort in Costa Rica. 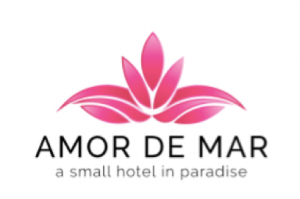 Amor De Mar in Costa Rica will be the host of this teaching Retreat. Amor De Mar is located in a fun little village right on the ocean, surrounded by the natural beauty of beaches, water falls, and jungles. Amor De Mar will add a peaceful element for our souls. A mix of teachings, adventure, rest and rejuvenation. We believe Amor de Mar in Montezuma Costa Rica will add a special memory. Traveling to Costa Rica will bring about a sense of passion to this teaching. We can all enjoy the ocean, the breeze, the fire side chats, the beautiful accommodations, hikes to the waterfalls, the taste of wonderful, freshly prepared meals and so much more. The element of journey allows us to step away from our routine and normal surroundings, to immerse ourselves in the teaching, supported by nature. This is a time and place for personal transformation. When we return to our normal lives, we will have tools to maintain the transformation in our daily lives, careers, and personal and professional relationships. Please visit Amor de Mar’s website http://www.amordemar.com for information about this amazing retreat location. Space is limited, this is a small boutique hotel located on the ocean. There is a hotel nearby in case Amor de Mar is full. 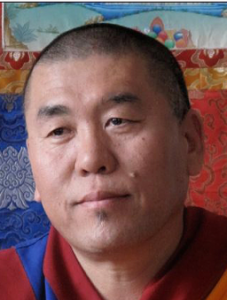 The entire hotel has been blocked and reserved for this retreat in the name of Yeru Bön Center. Accommodations, dinners, snacks, transportation, and other activities are separate. Housing space is limited. Early registration is strongly advised. A 50% deposit of $425.00 to hold your spot at this retreat and allow for booking your hotel room. Please note, early registration fee does not apply for deposit. The rooms at Amor de Mar are now booked. You will be directed to a local hotel in the area after your registration. Your retreat fee is refundable, less a $75.00 processing fee, if your reservation is cancelled by December 10, 2018, 50% refundable before January 15, 2019. No refunds January 15, 2019. If you cancel after January 15, 2019, we will apply your payment to another Yeru teaching held within one year. The Amor de Mar hotel will hold your room with your credit card. They will not charge your card until 30 days before your arrival. Once your card has been charged, there is no refund. Feel free to visit their website http://www.amordemar.com for more information about this beautiful resort and how to travel to the resort. So much to do and enjoy. There is a spa on the resort by the ocean, take advantage of this and all Amor de Mar has to offer.